The data store itself (which CERN are especially good at, since the Large Hadron Collider generates a great deal of data). They add the A to FAIR (Findable, Accessible, interoperable and Reusable). And also a certain confidence that this store will be enduring, not here today and gone tomorrow. The metadata describing the data, which in fact turns out is stored somewhere else, at DataCite. This organisation serves to add the F to FAIR. And to show how this works in practice I can do no better than give this link: search.labs.datacite.org/help/examples which shows how you can benefit from the metadata. I have already demonstrated the use of Zenodo for archiving some old computer code of mine for calculating kinetic isotope effects, but of course it is so much more than that. 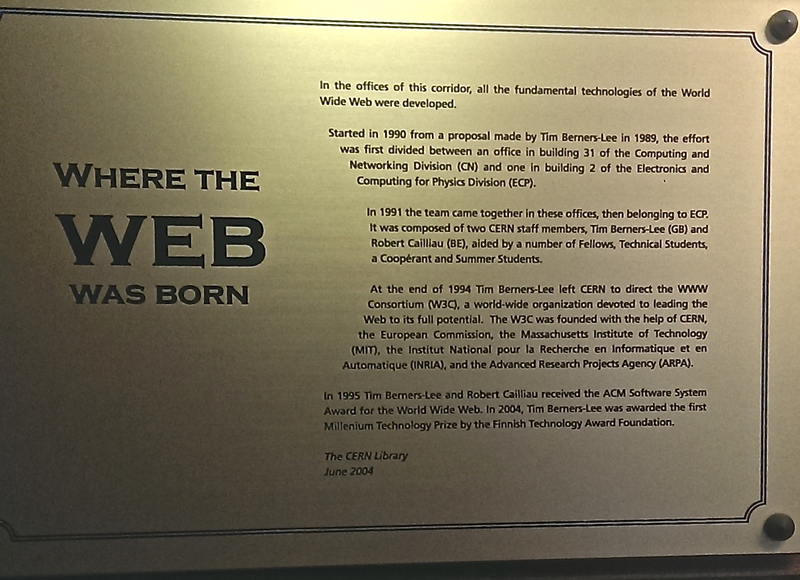 If the first CERN spin-out, the Web, is already 22 years old (for chemists), then I am confident in asserting that facilities such as Zenodo will play an increasingly important role over the next 22 years (indeed a much shorter timescale than that). ‡A personal souvenir can be seen here. This entry was posted on Wednesday, August 19th, 2015 at 2:06 pm and is filed under Historical. You can follow any responses to this entry through the RSS 2.0 feed. You can leave a response, or trackback from your own site.